A bill that would make numerous changes to existing motor vehicle titling and registration laws was advanced from general file March 22. 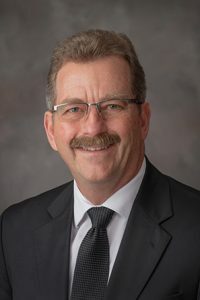 LB909, introduced by Brainard Sen. Bruce Bostelman, would require that certificates of title for assembled and kit vehicles include the year, make and model the vehicle resembles. The title also would indicate that the vehicle is reconstructed. 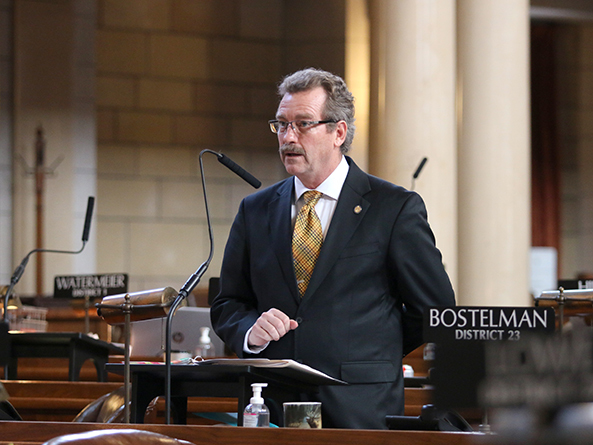 Bostelman said the changes proposed by the bill would help put Nebraska in line with national best practice recommendations. “This will help make our titling law as convenient, precise and accurate as possible both for individual applicants and the [state Department of Motor Vehicles,]” he said. A vehicle owner could apply for a title by presenting a certificate of title for one major component part, a notarized bill of sale for all other major component parts that have been replaced, a statement that an inspection has been conducted on the vehicle and a vehicle identification number. The certificate would include the year application for the title was made and the make of the vehicle as assembled. The base registration fee for assembled, reconstructed and replica vehicles would be the same as automobiles with a new value of less than $20,000, which currently is $5. A Transportation and Telecommunications Committee amendment, adopted 31-0, incorporated into the bill provisions of LB1092, introduced by Papillion Sen. Jim Smith. As amended, these would create a separate definition of autocycle for vehicles that are not completely enclosed. The operator of such a vehicle would be required to wear a helmet. Further, the amendment would clarify that an operator of such an autocycle would not be required to hold a motorcycle operator license. Smith said a potential buyer of an autocycle currently is required to have a motorcycle license just to drive one. “This is good for consumers and it maintains the safety necessary inside our statutes,” he said. • LB1136, introduced by Elmwood Sen. Robert Clements, which would provide a mechanism for online auto auctions to obtain titles for vehicles purchased as salvage vehicles. Senators voted to advance the bill to select file on a 31-0 vote.